Psious is constantly keeping up to date with new technology and always offering new environments and courses so that you can get the most out of the tool. We have great news! 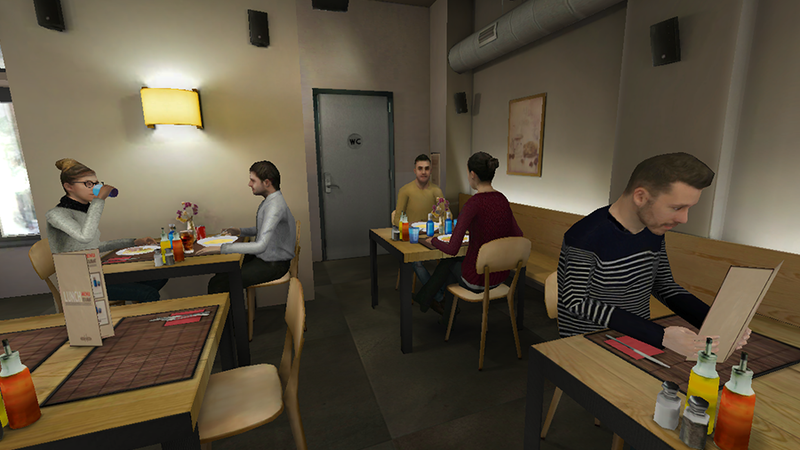 There is a new environment update available: Restaurant Scene for Eating Disorders! What does the new environment offer? 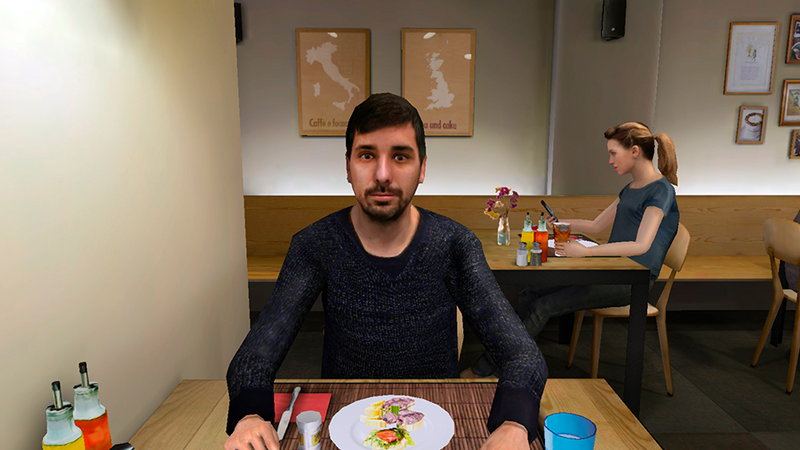 The patient is located in a restaurant where he can choose what to eat from various menu options (hypercaloric, hypocaloric, diuretic or standard) depending on what the situation requires and can alter if he is eating alone or accommpaied. We always try to customize the options to the maximum so that the environment adapts as much as possible to the situation that the patient requires. Aimed at exposure to feared food and useful in reducing isolation during meals. 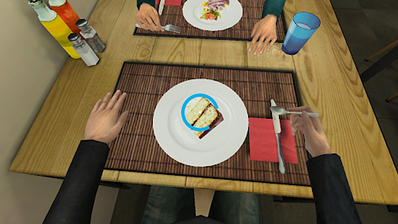 Companion: You can select if the patient eats alone or accompanied and, in that case, if the companion is male or female. Conversation: In the case you have selected "Accompanied" you can also choose the type of conversation that the patient's companion will perform during the experience (none, neutral or uncomfortable). 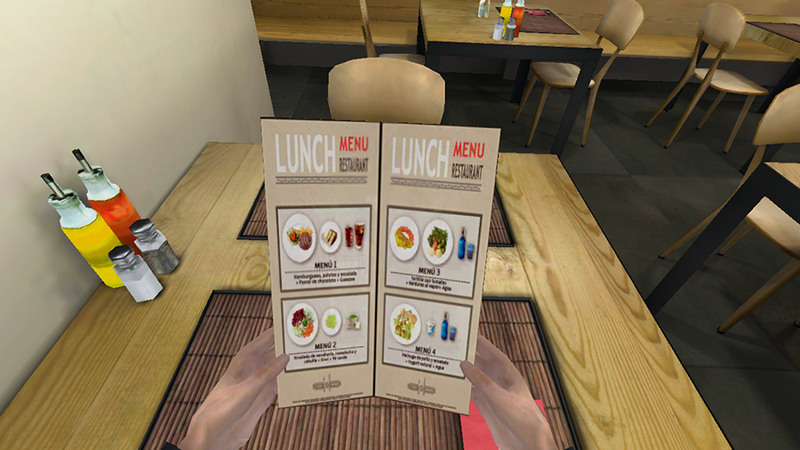 Show Menu: The patient (and the companion if selected) will have a menu in their hand with various menu options. However, the therapist will choose the meal that the patient should take, selecting the event described below. 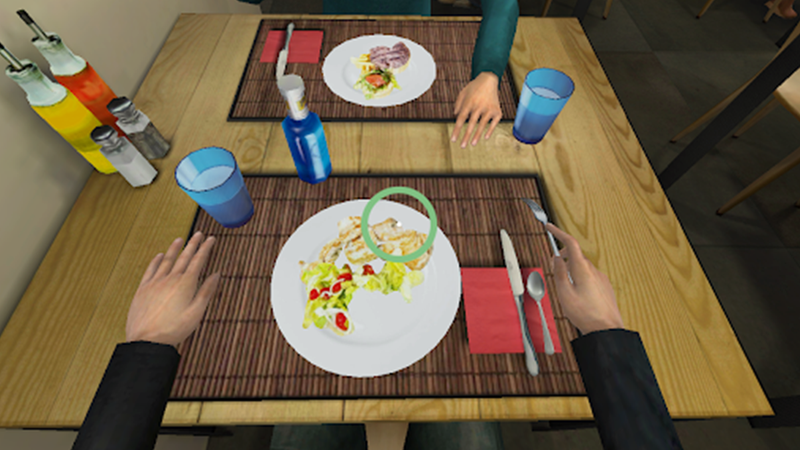 In addition, the patient can simulate what he or she is eating or drinking if they stare at the plate or the drink. 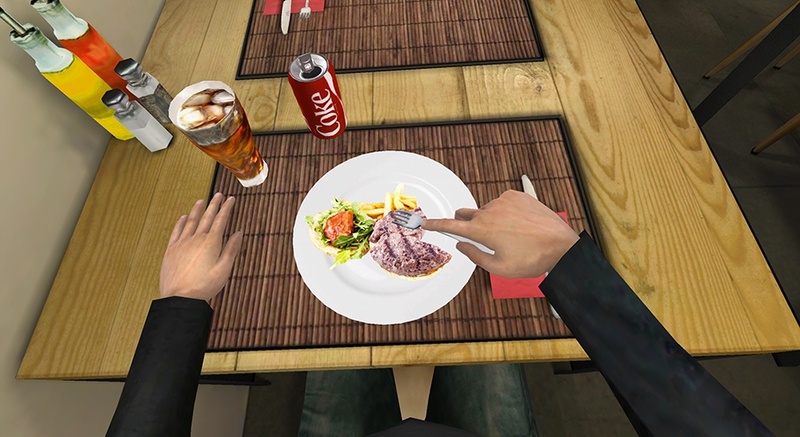 A circle of color will appear around what they are consuming and they will be able to use the fork to take peices to their mouth. How can I learn to use the restaurant environment? Whenever we launch a new environment we offer a free course. So if you want to get the most out of it, come to the presentation webinar we are hosting on on Thursday the 17th of May at 5pm CEST (UTC +2). Sign-up now in the Training and Knowledge section of the Toolsuite! As always, in our Knowledge Base you will find a complete manual that explains step by step configuration of the environment with screenshots and explanation of each variable and event. You will also be given a proposal for an evaluation and intervention protocol with an example of 6 sessions that you can apply in your therapies. We always recommend that it be used as a guide and you adapt it to each specific case. You still have some doubts? Contact us! Whether by phone, e-mail or Skype, we are always at your disposal to help you with any question that may arise.